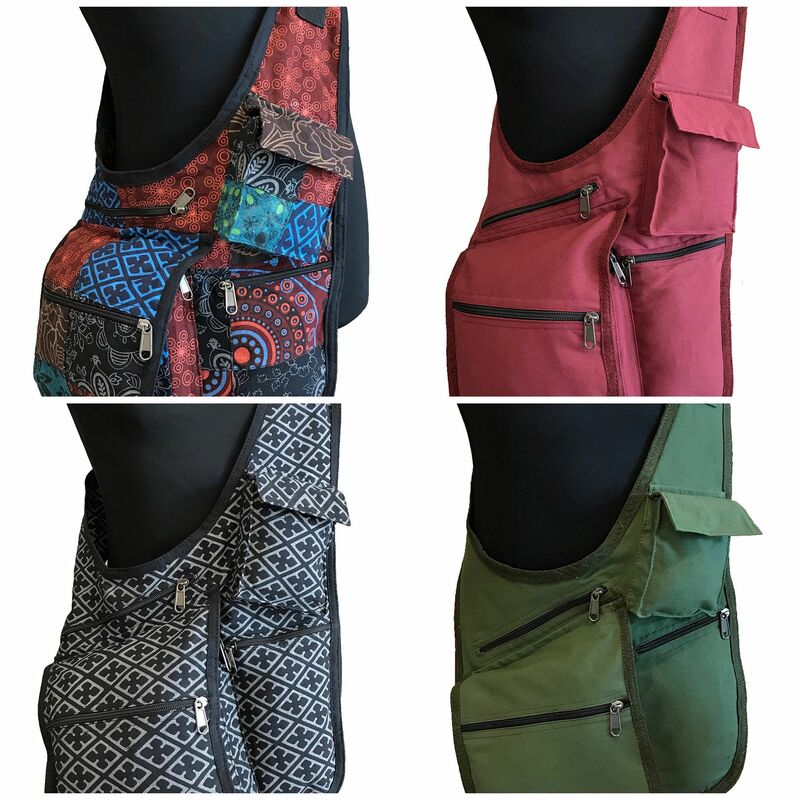 Five pocket cross-body shoulder bag with adjustable strap. Like our popular hip bags but now bigger! 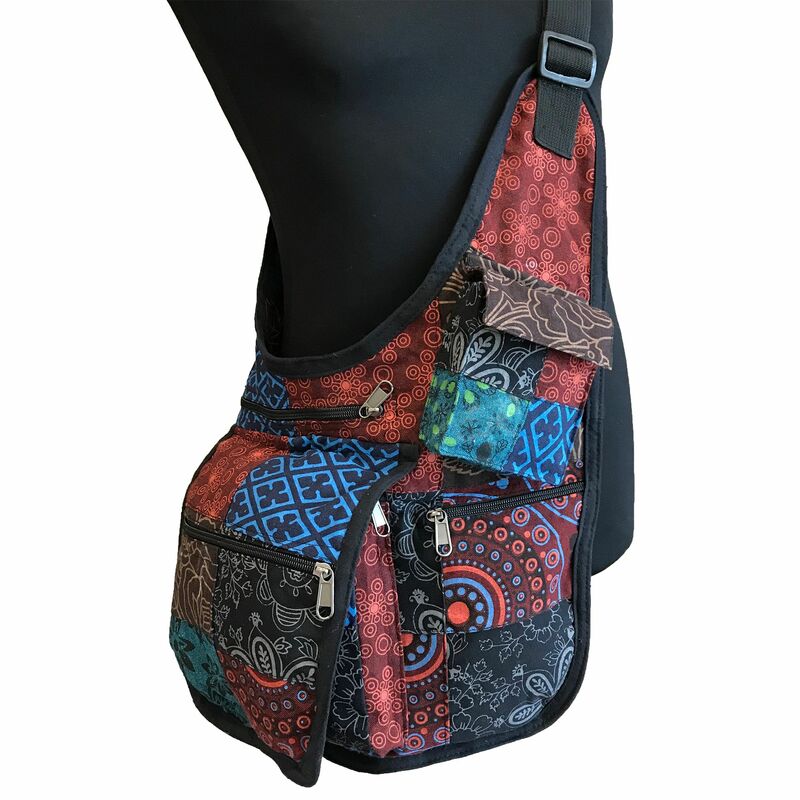 There are four zipped pockets and one with a popper fasten, The bag measures 14" across and 13" high across the main part. Other colours / patterns are available.